Over the years, I have installed and used quite a number of Linux distributions. But one distribution which I hadn't got the chance to install and use was the venerable Slackware. This was because I have encountered some difficulty in downloading this distribution from its official website - They actively encourage downloading the OS using a torrent rather than ftp. Anyway, recently I decided to download a relatively small Linux distribution going by the name Vector Linux. What piqued my interest in downloading this distribution was that it is based on Slackware. The version of Vector Linux I decided to try out was Vector Linux SOHO 5.1 which stands for Small Office Home Office. I downloaded the CD image and burned it into a CD. Then I booted using this CD. And after a short while, I came face to face with a curses based text based installer. Any body who has installed FreeBSD or Linux distributions like Debian, Slackware or even Ubuntu will feel right at home with this installer. I found it quite intuitive. Here I was faced with making choices. Like I could decide to partition my hard disk using fdisk, resize my existing partition to make space for a new one or just start the installation by selecting the respective menus. I chose to start the installation as I already had a 3 GB empty partition on my machine. Here the work for me was cut out and I had to make simple choices like decide whether to have the home directory in a separate partition, setup the swap and root mount points, decide which filesystem to use like reiserfs, ext3, ext2 and so on. Next the installer prompted me to choose the integrated packages to install. Here there were no choices to make as the three packages namely base system which contains the kernel, the SOHO base system which contain the software as well as the system configuration package were mandatory. The installer then prompted me to choose the optional packages which included drivers for printing, wireless networking drivers, sane scanner back-end, samba and so on. Since I did not have a use for any of these on my machine, I chose not to install these optional packages. After this the actual copying of files to the machine started and I had the option of taking a coffee break or read the names of all the people who contributed to this project scroll through in the upper portion of the screen. The copying took about 10 minutes on my Pentium IV machine. Once the copying of the files was done, it offered to install the boot loader on my machine. Vector Linux ships with LILO boot loader and one has the option to install the boot loader in a variety of places such as in the master boot record, in a floppy, in the boot sector or decide not to install the boot loader at all. Since I had already installed other OSes and because of my affinity towards Grub, I decided not to install the LILO boot loader. Next I was faced with the job of configuring the system which includes tasks like setting the time zone, basic hardware auto detection, setting up the network, sound setup, X windows and root password. Optionally one can also set up additional users. But what impressed me the most here was that it offered to probe the legacy ISA sound cards if any on my system. This is the first time that I have found a Linux installer offering to detect any ISA sound cards. All said and done, the installer detected all the interfaces on my machine and I had no problem in booting into Vector Linux. 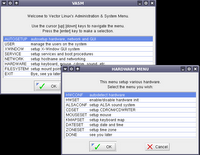 Vector Linux comes bundled with two stock kernels one optimized for SATA/IDE hard disks and other for SCSI hard disks. And during the installation, one has to choose between the two. Once the installation is over, one is booted into the KDE 3.4.2 desktop which is the default desktop in Vector Linux. Though it also has the latest version of XFce desktop which is a light weight complete desktop replacement for KDE. Vector Linux is a well designed Linux distribution with a good collection of software most suited for a small office or home use. What I liked the most about this distribution was that it supported all the multimedia formats out of the box. To test this, I downloaded some video clips and music files in quick time, realplayer, wmv, mpeg and mp3 formats and tried playing each of them by double clicking them. 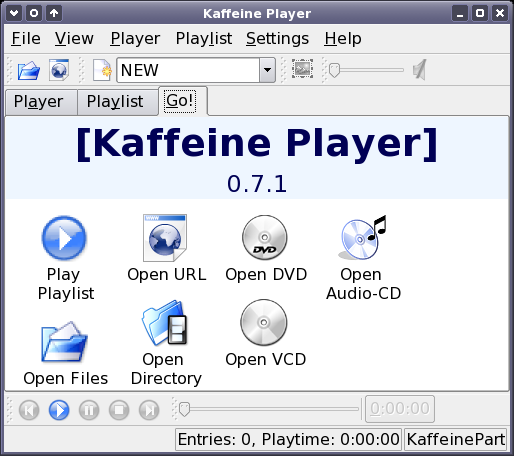 And I was able to play all these formats in Kaffeine which is the default multimedia player in Vector Linux. What is more, it also has the libdvdcss library installed by default which allowed one to play encrypted DVDs. 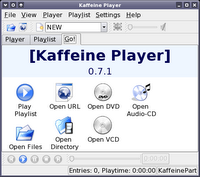 Vector Linux comes with a choice of media players like Xine, the all powerful Mplayer and Kaffeine to name just a few. I was pleasantly surprised that the developers have integrated the mplayer plugin in Firefox web browser which enabled one to watch video clips inside the browser itself. 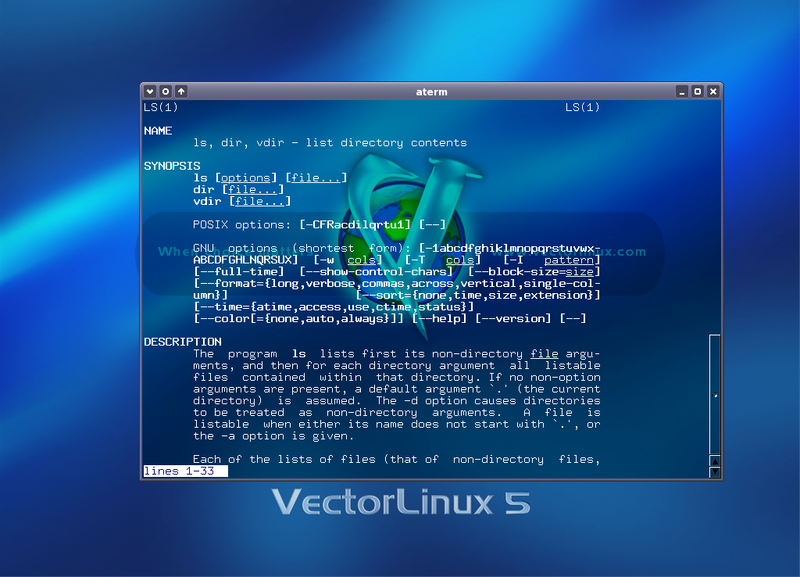 In Vector Linux, one has a robust easy to use administration front end in VASM. VASM - the Vector linux's Administration and System Menu - is a graphical front end which aids the user in doing all the system and network administration tasks with ease. VASM can be run in two modes - one the normal user mode where it helps the user in common system administration tasks pertaining to the user like changing his password or making his choice of window manager. And then there is the super user mode which allows one to do all the system administration tasks like managing users; changing the configuration details of the X server; setting up, enabling and disabling services running on the machine; networking and much more. In short, VASM is to Vector Linux what control panel is to Windows. As this distribution is built on the Slackware base, it brings with it all the positive aspects of Slackware which has ensured it a dedicated fan following. All the packages are in the tar.gz format.And you have the pkgtool which is the equivalent of aptitude in Debian. And it uses slapt-get - an apt-get equivalent for Slackware to download, install and uninstall software. 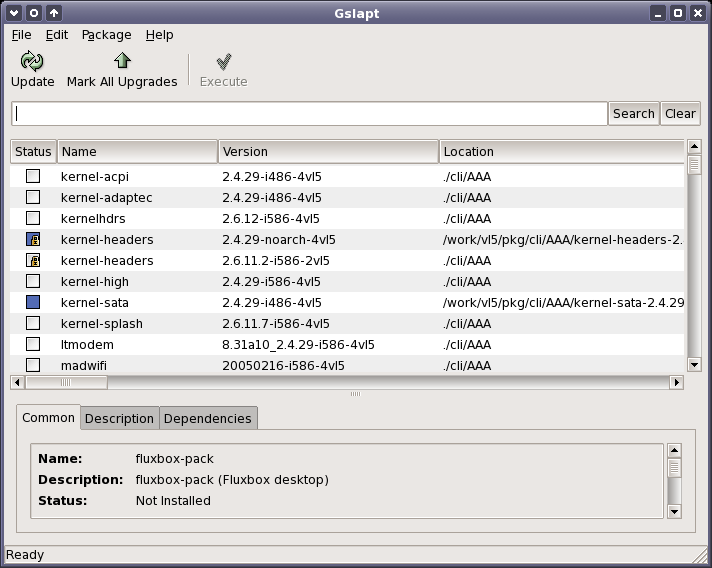 There is also a front-end called Gslapt which has the same functions as Synaptic in Debian based distros. But Vector Linux has made its own improvements too. For example, the Firefox web browser bundled with it is the latest version 1.5 and interestingly, it is free from the memory hog problem faced by it on Ubuntu. Another aspect which endears me to this secure Linux distribution is its speed.Vector Linux had a couple of extra services like ssh server and inetd server running by default when I installed it on my machine. But I was really impressed by the speed in which it booted to the desktop. It took just 35 seconds from cold start even with the extra services running where as other distributions took a little more than a minute on the same machine with no ssh and inetd services. The developers of this Linux distribution have taken pains to see that it has all the software needed for running a small to medium business. It comes bundled with OpenOffice.org ver 2.0, Scribus 1.3.1 a desktop publishing software equivalent to Adobe Pagemaker and an accounting package called KMyMoney just to name a few. SAMBA has also been bundled with Vector Linux for people who want to connect to and transfer files to other Windows machines on their LAN. And for printing, you have CUPS - an interface which allows one to feed ones documents to the printer. Put in a nutshell, these are the advantages a default installation of Vector Linux boasts of when compared to the default installation of main stream Linux distributions like Fedora, Debian and Slackware. Excellent Multimedia support - Plays any video or audio format one throws at it including encrypted DVDs. The latest version of Firefox ver 1.5 - And no memory hogging problems too. (Ubuntu developers please note ;) ). Sun's Java Runtime Environment ver 1.5 installed by default. Flash ver 7.0 plugin for Firefox installed. Optimized for speed - Boots up in much lesser time. Ideal for a small office setup with the right kind of software bundled with it. The only drawback I found with Vector Linux was regarding its collection of software in its repository. The software collection for Vector Linux is nowhere near those of Ubuntu and Debian in terms of numbers. But the fact that one can install Slackware packages, somewhat gives relief to this issue. More over I feel the Vector Linux maintainers have taken judicious choices in selecting the software to be included in the repository as well as the base install of the distribution that anyone who is using it in an office setup will find everything they need, available in the repository. All things considered, if one is on the lookout for a Linux distribution which is robust, fast, secure, able to play multimedia files without any configuration from the user's side, containing the latest versions of the software and good enough to be used in a small business setup then Vector Linux could fit the bill. Additionally if you are looking for a Slackware based distribution which covers all the above criteria, then Vector Linux is definitely the obvious choice. as usual, you write good quality articles ..
You will also find isos there for slackware-current, the development tree for slackware. and you will be presented with a long list of mirrors offering both http and ftp downloads. i use it for headless systems, so ssh is nice, and vasm lets you configure the firewall rules easily. In my experience it is easy to compile and install in vector than any other distribution. I guess vector has all the required libraries included with it. If you like Slackware, but want a package manager, consider Arch Linux OR Frugalware Linux. Frugalware has most of the tedious stuff set up for you (including DVD, video codec, music codecs), so you can install a Slackware based solution on a desktop in a fairly short time. (This is to sync with their servers, then install nvidia drivers)...Everything like configuring the xorg.conf is done for you! Then to test OpenGL, we install say, Torcs. Arch Linux is more like Debian in a sense, because it gives you the choice to nitpick at what you want to install. But it also has a Gentoo-like portage system. (it isn't as powerful or fully featured as portage, but its does the same job)...They call it the ABS system. Yeah, its another source based solution you can choose to use if you don't want to use pacman's binary-based apps. Both Arch and Frugalware use pacman. In fact, Frugalware contributes to Arch's pacman! So the combined effort is great for all. They both have repositories which are much wider in selection than Vector Linux. Overall, I perfer them over OpenSUSE and Ubuntu (and variants) because of the speed they offer. Been interested in Slackware but never took the plunge. Vector looks awesome, sounds like a pleasure to use too. Thanks for the lucid insights! And I agree with the other poster about Arch - it's a very nice distro that is similar to Slack but with a much better package manager. Vector is by far one of the best distros around. I particularly like the comments on the installation... something along the lines of "Give me a shell, I know what I'm doing" and "I'm scared my computer will turn to toast" which make even a curses-based installer much more fun to use!! Another small thing to note about the speed... I have a 400mhz PII with vector... it boots up much faster than my 2ghz windows XP pc. And installing/compiling software is a breeze. It's a fantastic distro... if you've been stung by Slackware in the past, Vector will most likely restore your faith!! Excellent review. I had always wanted to try out slackware but could not lay my hands on one. In the place where I live, Red Hat has a bigger market share and is having wider access than Slackware. Now that I know that Vector Linux will play all the multimedia formats out of the box and comes with the latest software, I will give it a try. It also helps that one only need to download one CD image which is a good thing. I tried using the live SOHO and had problems connecting to my DSL router and then wireless router. I eventually solved it after playing with VASM and various configs, but it sure is a pain. I'm using a Sony Vaio FS 840 with a intel 2200 b/g router. Anyhow, it works now but I don't think I was asking too much for an auto config right out of the box. Fast yeah. PS. I think however another slackware based app, Zenwalk is even faster. However, I still can't get my wireless to work with that app and I don't have the time to mess with it. But man is it fast with the same XFCE interface Vector has. BTW, I use KDE, Gnome, Fluxbox, XFCE and ICEWM depending on what I am doing. How many apps give you that much choice in windows managers? iv just heard vector from my guru, i had checked the site.. and wow..its amazing..i remember msWin's xp. though im in the process of having a copy, i know that it will be a nice catch.. m still in the process of learning my slack. . and vec is next on my list together with the bsd family.. m looking forward to use vect so i can make a "based on experience" comment.. vector rocks! ! Vector Linux sounds really interesting. I have been trying out Zenwalk, which I like for its light weight and speed but I just can't get multimedia to work. MPlayer won't work, Gxine won't work, RealPlayer won't work as an embedded player in Firefox. And, yes, before you ask - I do have libdvdcss installed. Therefore I am very much tempted by VL. One thing, though, Ravi. You said you didn't install LILO. Could you please explain in detail how you boot into VL without LILO? Don't know if Ravi did this or not, but you can create a floppy boot disk when installing and boot off of that. This might be of interest if you want to put VL on the harddrive but don't want to disturb your current applications. (and you don't want to use one of the VL Live CDs currently available). Vector Linux is my favorite linux distribution so far. I've tried Ubuntu, Xandros and Puppy. Ubuntu and Xandros seem sluggish even on faster hardware. Puppy is great if you want to run off small USB Drive (128MB). I'm newbie at Linux but I was able to install Vector Linux on several hardware. Vector runs as fast as Puppy on older and newer hardware. Additionally, I like the choice of Windows Managers (I prefer using IceWM-FluxBox). I installed LILO on Boot Sector of Linux Partition because I already had another Boot Loader on the Master Boot Record already. I have Arch almost one year and I like it. Maybe I will try Frugalware soon. I assume because it's supposed to be based on Slackware. had a problem installing Slackware once I got a big enough hard drive. On the other hand, I remember someone boasting about Vector, and turning around and wondering where to get simple applications like Pine,because they were absent from Vector. Their idea, from when I checked was that a limited system should include the GUI based applications, but not hte far smaller console based apps.